Jim’s career in the pharmaceutical industry began in 1977 at the Squibb Institute of Medical Research (E. R. Squibb and Sons). In 1989, he joined the Department of Licensing and Business Analysis at Squibb and relocated to Tokyo to further establish the company’s worldwide pharmaceutical licensing activities in Japan and relationships with Japanese R&D-based pharmaceutical companies. 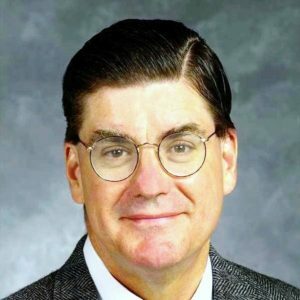 Jim joined SmithKline Beecham’s Worldwide Business Development Team in 1991 as Vice President and Director, Business Development- Japan/Asia, and remained based in Tokyo, representing the company’s worldwide licensing interests in Japan, Asia, and Australia/New Zealand. He returned to the United States in 1995, where he continued his responsibilities based in Philadelphia. In 2002, Jim re-joined Bristol-Myers Squibb as Vice President, Business Development- Japan/International, focused on the identification of strategic R&D collaboration and product licensing opportunities from the Japan, Asia and Australia/New Zealand region. From April 2006 to February 2008, Jim was President and CEO of SMART Biosciences, an early-stage discovery biotechnology company focused on neurodegenerative diseases, particularly Alzheimer’s disease. Jim joined Aqua Partners, a corporate and business development advisory firm focused on strategy development, licensing, M&A and finance for biotechnology and mid-tier pharma companies worldwide, with a special expertise in cross-border relationships and deal making. Jim serves or has served as a Trustee of St. Peter’s School, Philadelphia, and on the Boards of Directors of Sosei and Company (Tokyo), Traxion (Baltimore, MD), SFJ Pharmaceuticals (San Francisco, CA), the Japan-America Society of Greater Philadelphia and New York Pharma Forum. He also serves or has served on the Advisory Boards of the Haub School of Business (St. Joseph’s University, Philadelphia, PA), the Marshall School of Business Global BioBusiness Initiative (University of Southern California, Los Angeles, CA), and Sc Capital I (University City Science Center, Philadelphia, PA). Jim co-chairs the Philadelphia-Japan Health Sciences Dialogue, an annual meeting held in Philadelphia and Kobe, Japan addressing healthcare issues/solutions in the U.S. and Japan. A member of the Licensing Executives Society (LES), Jim was honored by the organization at its 2004 annual meeting with the presentation of the Frank Barnes Mentorship Award. He was designated a Certified Licensing Professional (CLP™) by LES in 2008. Jim holds a Ph.D. in Physiology from Thomas Jefferson University College of Graduate Studies. He received a B.A. in Biology and Chemistry from Rutgers University. He was a NIH Post-Doctoral Fellow from 1975 to 1977 in the Department of Pharmacology, Tulane University School of Medicine.